If you fly to Panama on American Airlines, you will not pay to check a bag on your economy class international flight. If you fly to Costa Rica you will. Flying to South America with a checked bag does not incur a fee—“except Brazil, Colombia, Ecuador, and Venezuela.” For El Salvador it might cost you $25 or it might not. That depends on what month you travel. If you have an AA credit card from Citi, that gets your bag fee waived, “but it only applies to domestic flights.” The flights are not domestic, but the flights aren’t international enough that your ticket includes a checked bag. So you’re screwed with a fee regardless unless you join all the passengers trying to shove their carry-on into the limited overhead space. It is clear that with the 3 remaining legacy U.S. airlines, we are not customers, but cargo. If you want to feel like you’re reading a Kafka novel, go check out American’s baggage fees explanation here. It’s comically complicated, on purpose I’m sure. Which Airlines Treat Your Right? Compare those pages of text and charts in the link above to Southwest’s one-sentence policy: “When you fly with us, your first and second checked bags fly free (yep, that includes skis and golf bags).” I don’t need to link to their baggage page because that’s really all there is to it, domestic or international. 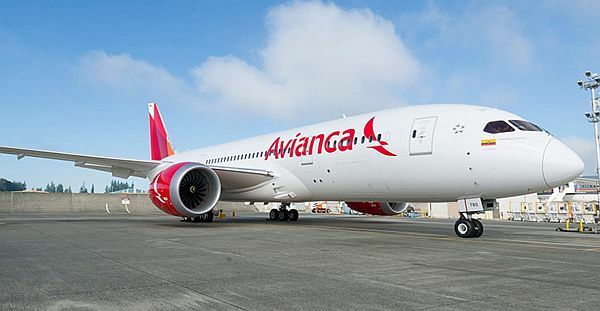 Take up to two 50 lbs bags for free on LATAM Airlines. Find your flight. So why exactly does anyone fly American elsewhere in the Americas? Apart from scheduling necessities, it’s hard to say. I’m guessing most of them who are not using mileage just don’t know any better. Think your first bag is free going to Europe on Delta? Not if you didn’t see the word “basic” when you booked. As the Washington Post noted in an article linked below, “Starting April 10, it will charge basic economy passengers fees for checked bags — $60 for the first one and $100 for the second.” Ouch. Wow Air and Norwegian are looking better all the time. Many of these deceptive gotcha fee practices were supposed to go away after the DOJ imposed rules on the industry to force them to be transparent. The problem is, the legacy airlines are blatently refusing to implement the policies and under the Trump administration, there’s no mechanism now to do anything about it. As in the financial industry, this administration is trying to strip away as many consumer rights as possible, winking to business that they’ll be allowed to get away with screwing us all over. The U.S. Transportation Department quietly abandoned two proposed consumer rules, one that would have required airlines to disclose baggage fees at the start of a ticket purchase and one that would have made airlines report more information about their revenue from fees charged for extra services, such as early boarding, seat reservations and carry-on luggage. They don’t really have the power to fix problems resulting from greedy policies–like separating families to eke out more “premium economy fees.” They often don’t even have a logical explanation about why one flight incurs fees and another one doesn’t, or why a family of three can’t sit together without begging other passengers for a favor. They have to shrug and apologize. On one northeastern U.S. flight I was on last year with a legacy airline, a flustered mother was asking the flight attendant what to do since her family of four got seated in three different rows. It got loud and other passengers started making suggestions on what she should do: “Fly Southwest!” “Take Amtrak!” “You’d be better off on Megabus!” That’s how bad it has gotten. Universal disdain for the service they have purchased. Since nobody in government is looking out for you anymore and the big consolidated airlines continue to show they consider all of us faceless cargo with no rights, there’s really one action that will make a difference. You can vote with your wallet. Forget loyalty and fly the cheap seats. If the legacy airlines are going to keep sliding to the bottom to compete with Allegiant, then just fly on Allegiant and pay a lot less for the same product. I’ve been on their planes more than the Big 3’s the past year and it was not just cheaper, but more pleasant, honestly. After all, I only earned about 1,000 “miles” on United going Tampa-Houston-Panama, so there’s little point anymore in being loyal in terms of point earnings unless you’re at a high elite level. Even the budget Mexican airlines are going to treat you better than the established legacy U.S. ones. I’m flying Delta back from Belize next month after going down on Southwest. The return flight is on points earned via a credit card though, so I only have to pay the taxes. Play the travel hacking game right and you’ll only fly the Big 3 when you’re flying them for free. (Well almost free—I had to pay $77 in taxes.) Even better, use a premium card from Chase and you can fly any airline, anytime. Or book your hotels with Bonwi and use those points for your next flight. Fly Southwest to Mexico and Central America. Southwest goes a lot more places than they used to. I’m flying to Belize with them next month. 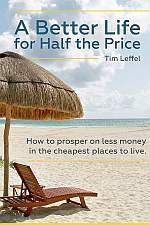 If you’re going to a Mexican beach resort with luggage, they could save you hundreds of dollars in fees. Get their credit card and you’ll earn easy-to-understand and easy-to-book mileage credit with them too. 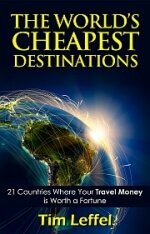 Get on virtually any foreign airline departing from our shores and you’re almost sure to enjoy a better experience. I really saw this first hand last year when I flew Turkish Air all the way to Kyrgyzstan, then got crammed into a lousy United flight coming back. It was night and day. I’ve heard more people rave about Wow Air and Norwegian than I’ve heard rave about American, United, and Delta combined. They’re all budget airlines now (except Southwest, ironically), so explore every alternative before rewarding bad behavior. Amen to that. I wrote a scathing email to United just yesterday because I flew EWR-HNL and all they had to offer was “food for purchase.” On a 10+ hour flight! It was appalling. Thankfully, I paid for the flight with points. I would have been livid had I paid cash. Like Dougie Standhope says, “America is a big, bloated celebrity who think’s it doesn’t have to pay the cover charge.” That’s reflected in just about everything about America now, reflected in low price to value ratio for most products and services. Yes! 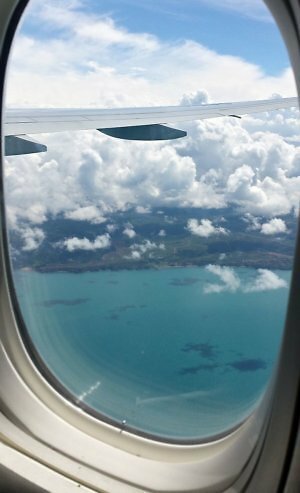 I had a post written comparing airlines as well (before I took down my site). This information is much needed. Tim, I couldn’t agree more! I am constantly mad after any flight on one of the U.S. legacy carriers. 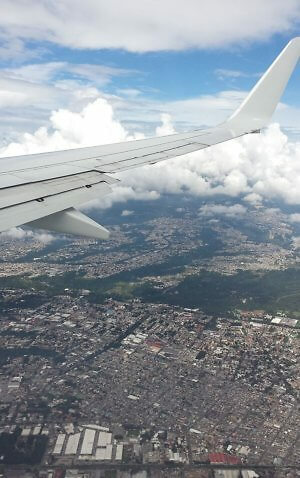 Thanks to you I recently flew Interjet for a trip to Guadalajara. While its not a luxury experience, I had the most leg room on any flight I’ve been on for years. Like Norwegian, everything was disclosed during the booking process. I don’t need luxury for every flight, I just want honesty so I know what to expect. Personally my favorite U.S. carrier is Southwest. Again, not luxury, but they are always clear about what they are offering and the customer service is pretty darn good as well. Glad you liked Interjet—I do too. And it’s ironic but Southwest, once the budget leader, now offers a far more pleasant flying experience than any of the big 3 unless you’re platinum elite on one of the latter and get an upgrade every time. I feel so much less stress when I fly with them and the time in the air is more comfortable too. I have been flying on Interjet to Mexico City instead of United. It doesn’t come out cheaper, but the amount of legroom is great, you get a light meal (just a sandwich, snack and beverage, but it’s more than United) and they guarantee that they do not overbook. A much more pleasant experience. Last year the wife and I flew to Europe on United biz class on points. It was best described as ‘enhanced cattle class’ save for the big seats. Terrible food and service. Almost as bad as Air Canada, which run their ops like a 3rd world country, except that’s an insult – to 3rd world countries. 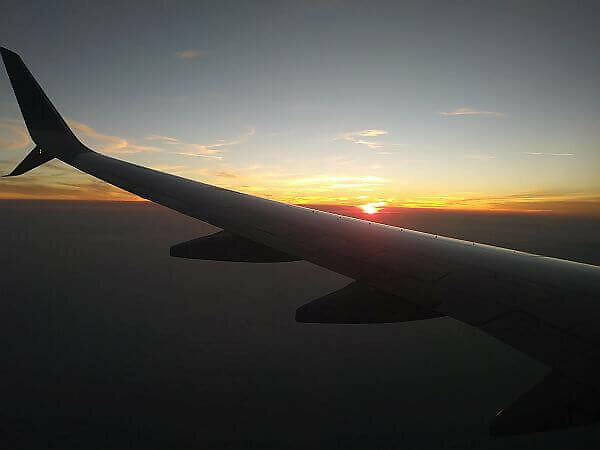 Writing this missive in the Yucatán, where the best part of the journey was connecting to a Aeroméxico flight. I could not agree more.. I never fly american based airlines unless it is the only airline going to my destination.. They are all a disgrace! You are aware that Delta holds a substantial stake in Aeromexico …around 49 % I believe. In fact on the last two Aeromexico flights I have taken (March 2018) Delta”s name was painted on the plane at the door just underneath Aeromexico’s. Thankfully their service ethic and amenities restrictions haven’t worn off. You still get a meal, drinks, and included checked bag on Aeromexico. Every time I fly on a foreign airline, going back to the U.S. ones feels like being sent to the principal’s office for punishment. Recently flew Turkish, Qatar, Thai Airways, and Avianca. Then I had to come home on United and I can’t think of one good thing to say about it. It gets even worse — I’ve had a “lifetime” American Admirals Club membership (no longer offered) for over 50 years, and suddenly American decided to unilaterally refuse to honor it; while simultaneously voiding my associated Advantage Account containing 95,000+ miles! Reason? Initially because they determined (by surfing the internet) that I was deceased, and then after proving that incorrect by saying that because I was under 18 at the time of purchase and the purchase was therefore not “legal”. The real reason is that they don’t want to honor lifetime memberships that last as long as 50 years. At this point I just want a refund of the membership fee and restoration of my award miles, but they have so far been unwilling to consider either of those. Talk about lack of respect for customers!! !